Mars is now transiting Gemini-the ruler (Landlord) or 'Stewardship' of Gemini is allotted to Mercury, AKA, Hermes. The Trickster! Mars is a guest in Mercury's home. And as you may be aware Mercury is now retracing 'its' tracks and has re-entered Mars 'Domicile', Aries. Mercury for the next 26days or so, will be a guest of Mars. This can be best described as Mutual dignity reception, each planet has a duty of care to the other. An exchange of uniqueness. Just how this dialogue is conducted will be dependent on quantity & quality, and others who might be also guest or witnessing those who are within the abodes. A sharpness of thought, ' dialect', movement, commerce & negotiation may lead to 'contestation' over past connections, associations & contacts. On the mundane Geo political stage this may ignite passions and result in 'quick' outbursts or action that could be felt throughout the globe. 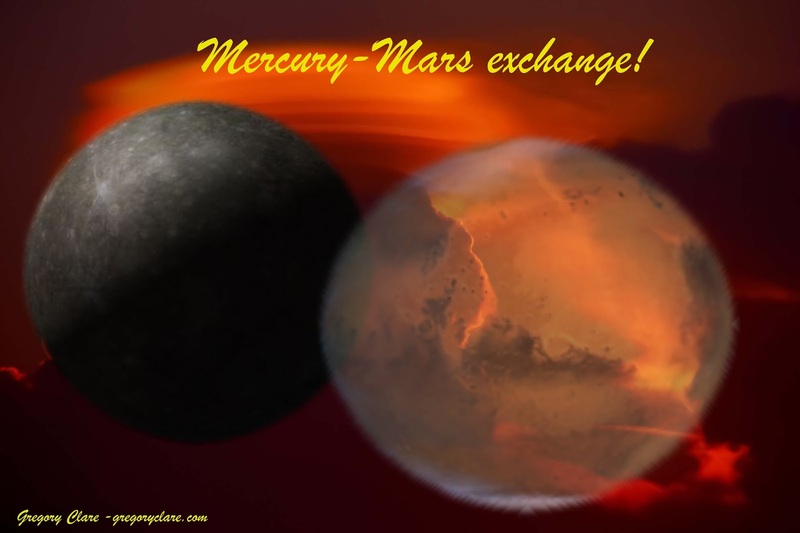 Mercury-Mars exchange! - Military discursive reasoning, as Mercury changes alliance, hidden somewhat in the 'Glare'. Mercury is now part of the Lunar team. Both Mars & Mercury are now showing alliance to the Moon. As the Moon moves through the zodiacal signs and has contact with the 'Others', blends and mixes the Truth we will be forced to turn inward and confront our 'Memories' or recollections! All rights reserved Gregory Clare.